Ever since she debuted as an idol 10 years ago, Sakurai Tomo has held her Valentine Aid event every year. This was an event where she passed out chocolates to her fans on Valentine Day. 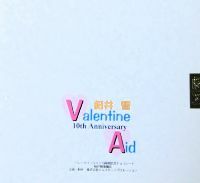 This year, since it was the 10th anniversary, the Valentine Aid was held all over Japan. On the evening of February 10, Tomo passed out chocolates in Sapporo (in Hokkaidou). Then on the morning of February 11, Tomo flew down to Tokyo and passed out chocolates at the Haneda Tokyu Hotel, which was very close to Haneda Airport. After Tokyo, Tomo flew to Fukuoka (in Kyuushuu). Then she also went to Nagoya and Osaka on the same day. At the hall in Osaka, where the event started late in the evening (so people under 18 were not allowed), Tomo also held her public recording of her radio show. Then on February 15, Tomo went to Sendai for the last stop of her Valentine Aid '97 event. 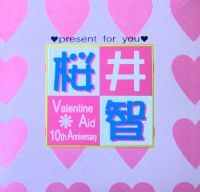 To participate in the event, one had to buy the Tomo-dachi Radio Valentine Special CD, and send in for a ticket. There were over 1000 people, and Tomo did actually pass out chocolate to everyone in around 35 minutes.. It was a very quick thing, and they didn't allow anyone to shake hands with her, or even talk to her. 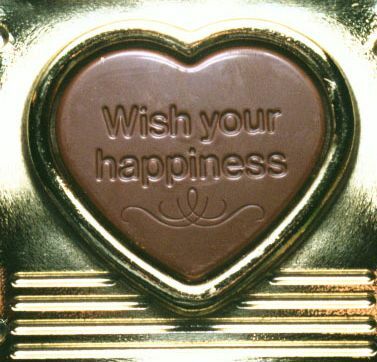 The chocolate came in a pink box (with pink hearts on it), and the chocolate itself was heart shaped, and had the words, "Wish your happiness" on it. Along the way, they were counting numbers (because they wanted to get a total count) and there were some special numbers which had prizes. 621 (Nagasaki Moe's birthday), 910 (Sakurai Tomo's birthday), 954 (TBS), 1134 (Bunka Housou), etc..